We offer many discount coupons to our valued customers. The Air Circulating in Your Home May Be Polluted – As your heating and cooling system operates, it constantly circulates all the air in your home. Most homes accumulate surprising amounts of contaminants. Dust, pet dander, smoke, molds, fungi, and bacteria circulate with the air. As the air flows through the ductwork system, it accumulates on the interior surfaces of those ducts. No matter how well you clean your home, you can’t remove that contamination, which continues to circulate and build up. You can’t see it, but it’s there, posing risks for increased allergy symptoms and even other health concerns. The EPA estimates that the air inside your home is up to 70% more polluted than outside air. 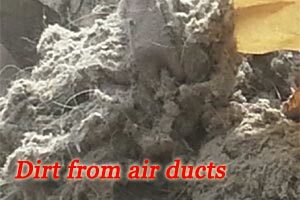 Regular professional duct cleaning is the only way to effectively remove these contaminants. Dirty Air Ducts Lower Heating and Cooling Efficiency – As contaminants circulate in your air ducts and other HVAC components, they build up over time. It can reduce the efficiency of your furnace and air conditioning system by as much as 21%. That raises your heating and cooling cost dramatically. With today’s high energy costs in the Minneapolis St. Paul area, no body can afford an inefficient heating and air conditioning system. Only professional duct cleaning by a reputable company can remove this build-up and restore the heating and cooling efficiency at your home. Dust and Dirt Can Cause Early Furnace and AC System Failure – Heating and air conditioning systems are a critical component of your house. In 9 out of 10 cases, failures in these systems are caused by accumulations of dust and dirt. Neglecting proper cleaning of your home comfort system, including the extensive network of air ducts that control the circulation of air, can prematurely age your costly equipment. Expensive repairs and even replacement can be the result of neglect. 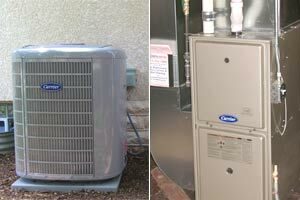 Safeguard your investment by having your HVAC system cleaned regularly by a reputable Twin Cities contractor. This will help prevent expensive failures in your system. In the Minnesota climate, heating system failure can be dangerous, not just inconvenient. Other Ductwork in Your Home Also Needs Cleaning – It’s not just furnace and air conditioning ductwork that accumulate dust, dirt and debris. Fireplace and chimney need regular cleaning as well. Dryer vents can also accumulate lint and debris. Water heater vents can be clogged with debris and dust. Clogged fireplace chimneys and dryer vents can even cause disastrous fires. A full-service professional duct cleaner can handle all of these important jobs, assuring you of safety, efficiency, and comfort. When combined with other services, costs are surprisingly low. You may see ads on television, hear sales pitches on the radio or receive coupons in the mail, but not all Twin Cities duct cleaning companies are equally qualified. Make certain you hire an experienced, reputable, professional contractor to handle your cleaning needs. Our company has over 25 years of experience of serving the Minneapolis St. Paul area, from Columbia Heights, Brooklyn Center, New Brighton and Shoreview to Eden Prairie, Bloomington, Edina and Lakeville, and from Maple Plain, Plymouth, Wayzata and Golden Valley to Woodbury, White Bear Lake, Cottage Grove and Eagan. Our technicians are specially trained and have the state-of-the-art equipment to do the job right. Our award-winning company is also a member of NADCA, the National Air Duct Cleaning Association, assuring you of professional expertise and experience.